Located in the mountainous municipality of Skrapar, Albania, a handful of students and their one teacher gather each day in a single-roomed building for their lessons. 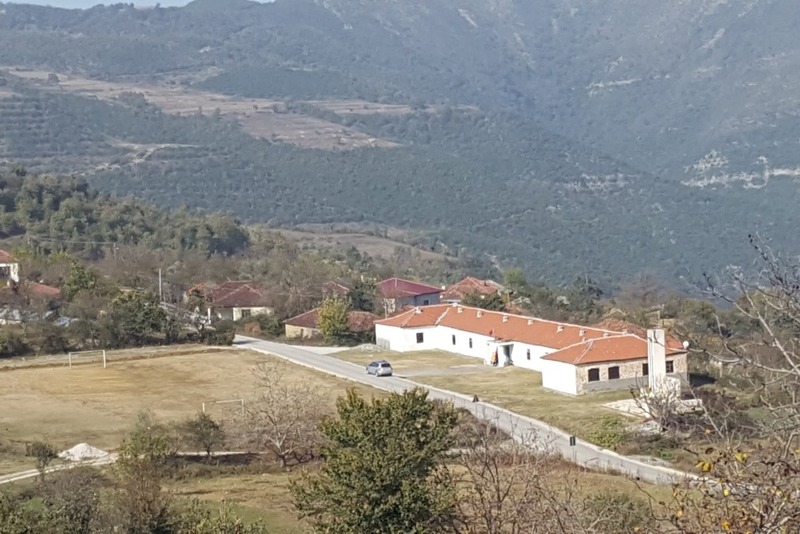 The school serves pupils of multiple ages, who come from their rural homes along well worn paths to receive the same lessons from the national curriculum that students all around the country of Albania are receiving. However, they are not learning in the same quality environment. 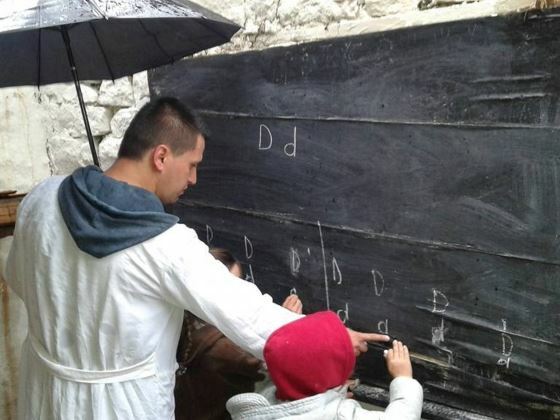 Their classroom has a wide open gap in the roof that requires holding an umbrella at the chalk board and holes in the stone walls, which allows a biting wind to send shivers through the small group of children hunched over their studies. The Director of several schools in the region and the classroom teacher promised the students they would rebuild the school as soon as the funds became available. Their single, determined goal is to provide for the children a safer, healthier environment. The amount needed, approximately 3,000 euros, is almost an entire year of a teacher's salary and more than any of the children have seen at one time. In a desperate attempt to start the fundraising, the Director and the teacher went on national television, on an almost impossible-to-win quiz show, and won almost half of what was required to start construction. This fundraiser is an attempt to raise the remaining funds and allow for additional costs of school supplies. Local workers have dedicated their time and skills and, combined with the winnings brought back from the quiz show, only an additional 2,000 euros is needed to ensure construction can begin as soon as possible. With these funds, a new building, new furniture, and much needed school supplies can be provided to the children of III Vendresh village, Skrapar, so that they can learn in warmth and safety throughout the year. Director Donald Dervishi and school teacher Borsion Spaho have opened a bank account with Raffheisen Bank. All funds will be transfered to this account in Albania in a one time movement when our goal is achieved, to avoid incurring multiple international transfer fees. Until the final amount is achieved, the funds will be stored in a Money Market in my bank in the U.S.
Albania is an emerging country in the 21st century with an unfailing culture of hard work and resilience. Albanians across the country express a passionate commitment to their heritage and hope that through education, they may see their future generations improve the quality of their lives to the degree in which they stop seeking economic advantages abroad. Instead, they will stay here, creating businesses and growing their own families that stabilize the social and economic status of this incredible country in the Balkans. Thank you for helping this small school and in a much greater way, assisting in the economic and social development of Albania. 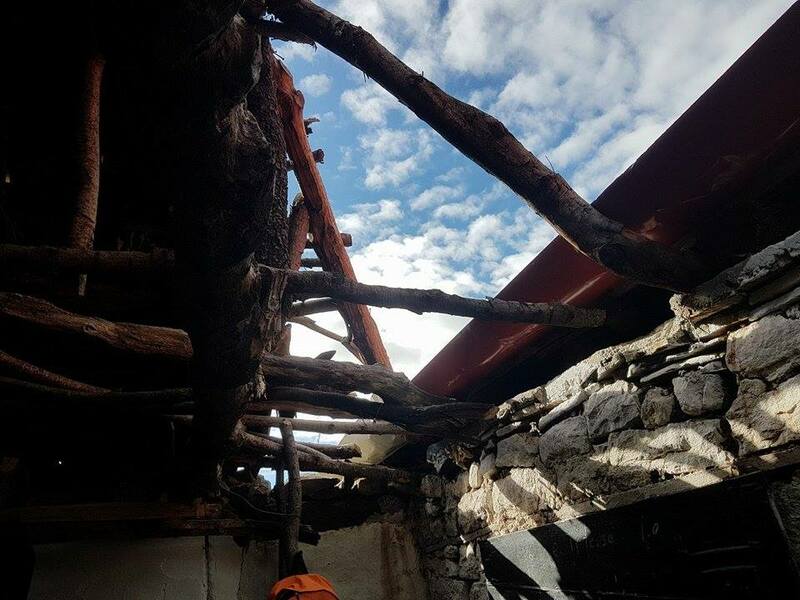 Donald Dervishi has begun a new campaign to reconstruct his childhood school in Therepel. Please join us and share in our efforts to reconstruct old, damaged areas of the school and construct a new library, gymnasium, computer lab, and other education resources that are essential to 21st Century learning. Search for "Therepel School Reconstruction Project" and share with those you know are dedicated to education! We are very honored that Donald Dervishi has been nominated for the European Civic Forum's "Volunteer of the Year" award for his work on your behalf, thanks to your generous donations, and on behalf of the children of Vendresh! He is one of four finalists in this year's recognition of incredible people doing amazing things all over the continent. Please see the voting page and vote for Donald and all of the others doing amazing things! School starts tomorrow! Remember that feeling, before the first day of the new school year? Have you ever bought a new outfit, and laid it out the night before...imagining wearing it ? The children of III Vendresh are imagining school in their new classroom- one with a roof, tile floors, a bathroom and all of the love of our donors and well wishers! We are almost across the finish line as the final days of construction are upon us! A popular national television show, "Fiks Fare," highlighted the work Donald and Borsion have done since they first captured national attention by winning "Millionaire." On the show, they promised to spend their winnings on the construction of the new school building. Those winnings, along with your donations, have enabled them to use the strongest, most durable products on the construction of the school, which will open in just about a week. You can see their portion of the show starting at 08:00 into the show.